Iron Horse Inn is a favourite local hotel in Cardiff. With a relaxed friendly atmosphere its easy to see why locals and visitors alike enjoy spending time here. We've got schnitzels covered in our very own House of Schnitzel. We have great value dining for the whole family where we feature a fun kids menu and delicious meals for the mums and dads. We have something for everyone! 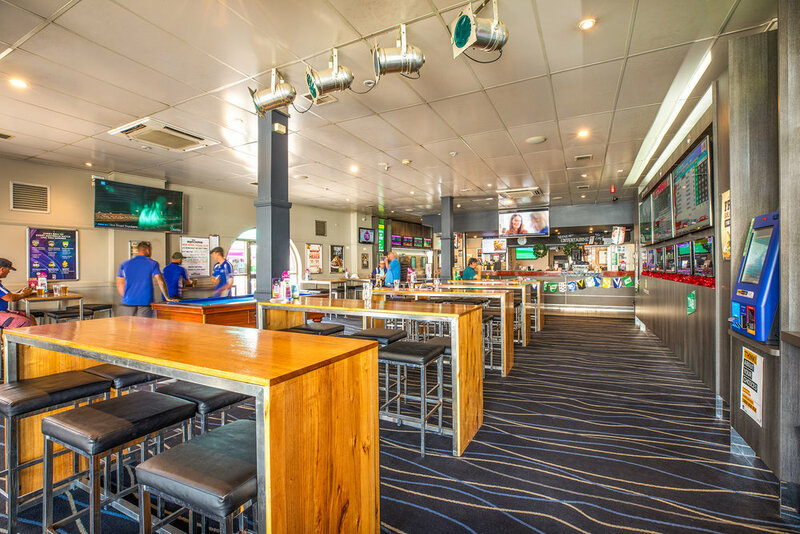 Step into the Sports bar and enjoy our extensive bars area. We have all your favourite sports bar entertainment. Enjoy a game of pool with mates or just unwind over a "cold one" after a long day at work. If you are looking for a great place to unwind after a long day at work or somewhere to enjoy a relaxing meal, then look no further than Iron Horse Inn. The Iron Horse Inn offers friendly House of Schnitzel Bistro dining. We have a delicious menu featuring an extensive mouth-watering selection of schnitzels to satisfy even the fussiest taste buds. Our menu includes char-grilled steaks and seafood selections along with favourite pub fare. We also offer a great value lunch menu along with a fun kids menu. There is something for the whole family here at the House of Schnitzel. If it's friendly relaxed dining you are looking for, then look no further than the Iron Horse Inn.